One treat a day! 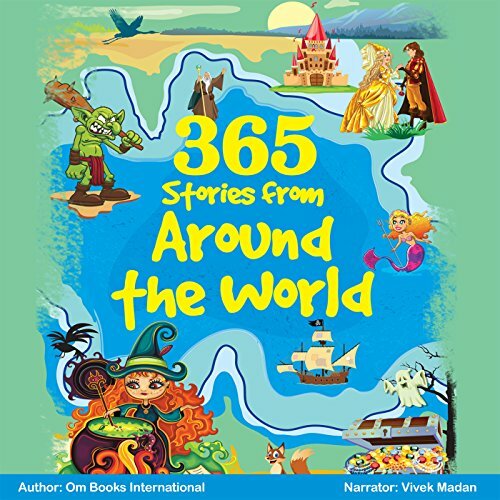 A 23-volume series of 365 treats: stories, facts, questions and answers, and science experiments for young listeners. 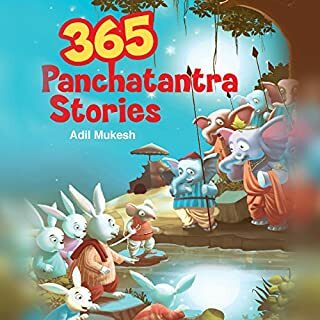 The stories of Panchatantra are ancient Indian fables that were written in Sanskrit and Pali languages. The central characters in these fascinating fables are many times animals and birds. They show their most identifying characteristics in the various stories and impart valuable life lessons and morals. Sorry but it is Not worth listening. Birbal was a minister in the court of the Mughal Emperor Akbar and one of the members of his inner council of nine advisors. He was famous for his sharp intellect and a keen sense of humour. 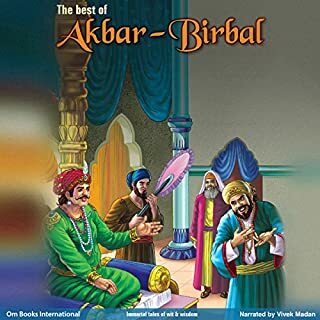 The stories of Akbar and Birbal are very popular among children and adults alike and form an indispensable part of the Indian folklore. book must be having some more stories of wisdom . 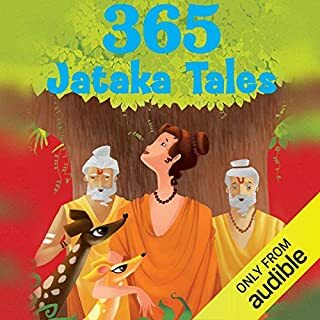 The 365 series presents a variety of stories from Indian mythology, the Bible, the Jatakas, the Panchatantra, bedtime stories, folklore, and much more. 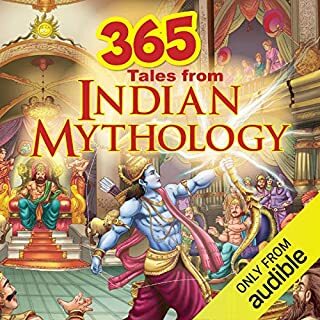 From powerful sages to wicked demons, from arrogant kings to beautiful goddesses, this series showcases the most enchanting and gripping stories from all over the world. 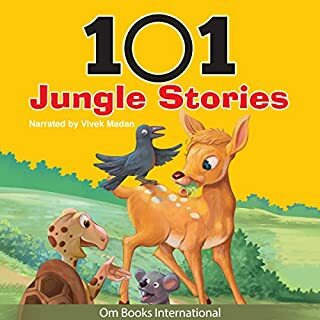 101 Jungle Stories is all about animals and their antics. There are shrewd sharks, bossy buffaloes, talkative tortoises, daring deer, clever cats, rowdy rats and...many more playful animals to entertain young listeners. The stories tell you how to live together peacefully while having a good time! A great book to add to your collection. The 365 Stories from Around the World is a treasure trove of stories from around the world - right from the barren sands of Arabia to the icy cold polar regions of Antarctica and different eras. Through this book, a child can travel and know about the culture and history of different places, all by sitting at one place! ©2014 Om Books International (P)2018 Audible, Inc.
"50/50" As an Audio Book, this misses the mark! What disappointed you about 365 Stories from Around the World? The term "Stories" is a misnomer. These are brief paragraphs, some with only a dozen lines or so. 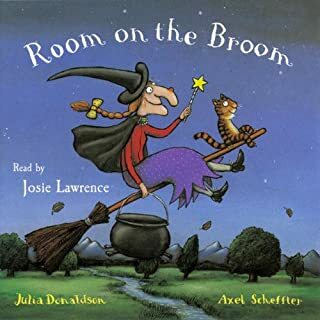 I did some on-line research and realize that the book has accompanying artwork for young children. Each "story" may only be a few minutes long. As an illustrated book for the kids, it may well be a fine book. But, as "Audio Only", it misses the mark indeed! What was most disappointing about Om Books International’s story? Stories are brief and often, without clarity - confusing endings are abruptive. You really need the "illustrated" book, for kids to be able to understand the meaning of the very brief lines. Have you listened to any of Vivek Madan’s other performances before? How does this one compare? My review is about the Audio version only. Without the illustrations, it is confusing and brief.